It makes sense that Jeffrey Morgan’s favorite sestina is John Ashbery’s absurdist-surrealist classic “Farm Implements and Rutabagas in a Landscape” (also included in The Incredible Sestina Anthology-ed). One glance at “When Unreal Girlfriends Die: The Manti Te’o Sestina,” which takes as its subject the very surreal Manti Te’o girlfriend hoax, and we see kindred spirits. 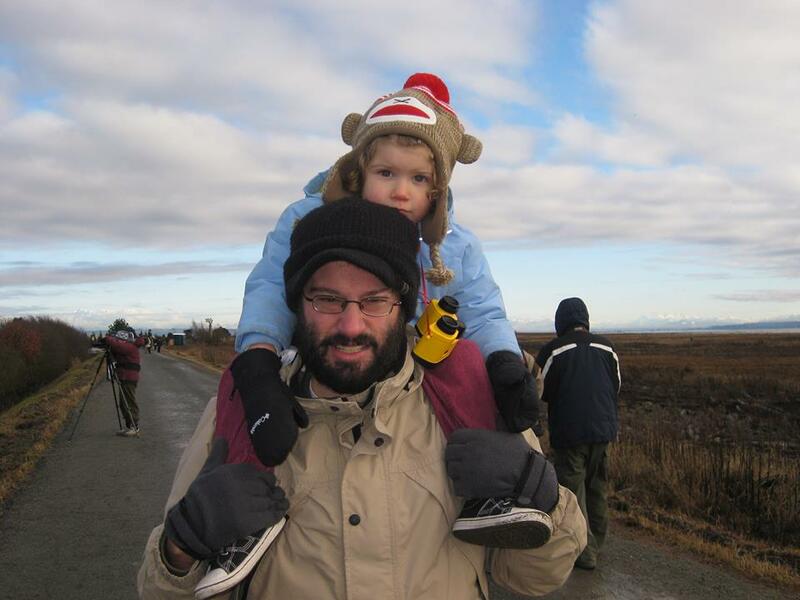 Morgan, who is from Fairbanks, Alaska and currently lives in Bellingham, WA with his wife and daughter, is the author of Crying Shame. His poems have appeared in places like Barrow Street, Bat City Review, Bellevue Literary Review, Painted Bride Quarterly, Pleiades, Third Coast, and West Branch. 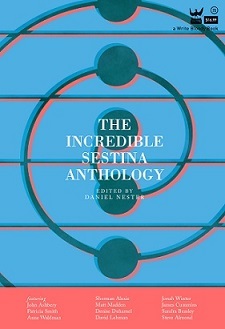 We spoke to Jeffrey to take us Behind the Sestina. I’m not sure when I first learned of the sestina. It was probably in college. Yes, but this was the only time writing a sestina didn’t feel contrived, or, rather, the contrivance was actually working in my favor. Can you describe writing this sestina? It’s inspired by real-life events, in which a star quarterback had been the victim of a hoax in which someone using the fictitious name ingratiated herself with him and then conspired with others to lead him to believe she had died of leukemia. Are we getting that straight? I can’t effectively summarize the real-life events of then–Notre Dame football player Manti T’eo’s girlfriend death hoax conspiracy. Nobody can. However, if anyone out there has no idea what I’m talking about, I urge you to look into it. It’s like amateur night at a Greek tragedy. It’s like David Lynch suddenly got very interested in Notre Dame football. I don’t know what it’s like. The whole thing had all the elements of a ripping yarn, except that there were just too many moving pieces and unknowable motivations. The best part was how frustrated reporters got covering the whole strange affair. They kept repeating the facts they knew, but the thing simply would not cohere. In other words, it was a real-life sestina. 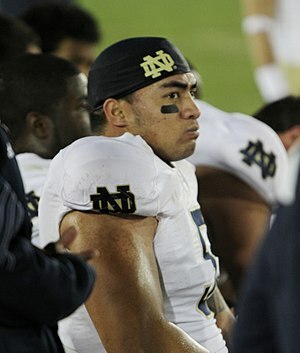 What made you want to write a sestina about Manti Te’o? Are you a football fan? This entry was posted in Behind the Sestina and tagged Bellevue Literary Review, David Lynch, Jeffrey Morgan, John Ashbery, Manti Te'o, Notre Dame, Painted Bride Quarterly, Poetry, Sestina. Bookmark the permalink.